For a graduate student, access to cutting edge research facilities and instrumentation offers the very real possibility of probing new physics.This new physics knows no boundaries, and the possibilities are limited only by the innovative questions we ask. The universe itself is now a laboratory for the exploration of fundamental physics: recent discoveries have strengthened the connections between fundamental symmetries, the basic forces of nature, and the structure and evolution of the universe. New measurements will test the foundations of cosmology and help determine the nature of dark matter and dark energy, which make up 95 percent of the mass-energy of the universe. Answers to such basic questions about the fundamental properties of matter require next-generation facilities and bold new experimental and theoretical approaches using techniques of complex systems, condensed matter, biophysics, astrophysics, particle, nuclear, and gravitational physics. Facilities serve entire communities, from large groups to single investigators. Even the power of smaller instrumentation has grown to the point where single investigators working together with their students can change how we think about the world. The promise of advanced instrumentation can be best understood by looking at current explorations. Intense synchrotron light and neutron facilities advance our understanding of high-Tc materials and the molecular structure of biological systems. 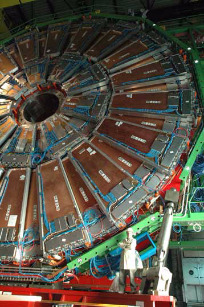 New instruments have provided the means by which researchers have been able to explore regimes of time and space unimagined just a few years ago. Higher energy and intensity accelerators and new astrophysical observatories are planned that will probe nature at extremes ranging from 10-18 cm to 10+28 cm. Femtosecond lasers now examine the making and breaking of specific chemical bonds; and new microscopies, such as atomic force microscopes, are opening up the viewing of individual atoms and molecules. At UC Davis our students have access to a wide range of physics research facilities that we list below by discipline. Prof. Robert Svoboda is involved in measuring neutrino oscillations with the Double Chooz experiment which detects neutrino emissions from two large nuclear reactors. He and Prof. Mani Tripathi are founding members of the LUX dark matter search experiment located at the now defunct Homestake mine, which has an experimental hall at a depth of nearly one mile. These facilities at UC Davis are very important for detector R&D. The 2 MW TRIGA reactor at MNRC is used for neutron activation analysis in order to radio-assay materials to be usd in low background experiments. The 63 MeV cyclotron at Crocker has been used extensively to study radiation damage effects on silicon detectors and VLSI electronics that are used in collider experiments. The facility for interconnect technology is a recent and unique addition, which is used to develop bump-bonding techniques for detector assembly. Group members of Profs. 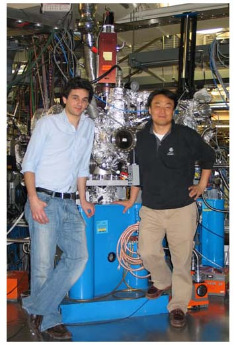 Warren Pickett and Richard Scaletter use beam time at the AP to probe phase transitions at high pressure (up to a megabar) in crystalline materials. Examples include identifying the volume-collapse, "Mott" insulator-to-metal transition in the correlated insulator MnO, and identifying structural and vibrational changes in novel magnets and in low-Z compounds that are potential high temperature superconductors. Prof. Dong Yu's group uses the user facilities at the Molecular Foundry to fabricate and characterize devices incorporating single colloidal PbSe nanowires with sub-10nm diameters. These nanodevices provide ideal platforms for investigating quantum confinement effect and charge transport in pseudo one dimensional semiconductors. Université de Paris-Sud/Orsay and CEA/Saclay, to make measurements on graphene using soft x-ray photoemission and infrared beamlines. 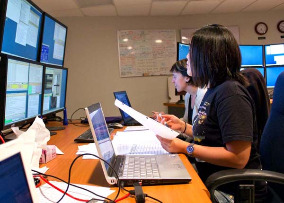 Prof. Ching Fong uses vpna.llnl.gov to logon to the computing facilities at LLNL. Since 2002, he has been collaborating with researchers at LLNL for designing spintronic materials and understanding the physics governing their properties. 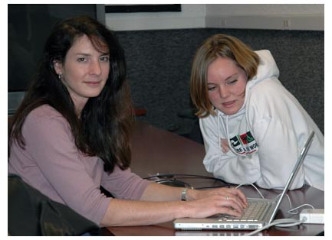 HST is used for high-resolution imaging by Profs. Marusa Bradac, CHris Fassnacht, Tony Tyson and David Wittman. Chandra is used to study X-ray emissions from galaxy clusters, and Spitzer to study their stellar content in the near infrared. The current generation of cosmic microwave background observatories are putting further pressure on the standard cosmological model, greatly improving our sensitivity to physical processes in the early Universe. Professor Lloyd Knox and members of his group have proprietary access to data from the Planck and Herschel satellites and from the South Pole Telescope. Profs. James Crutchfield and John Rundle are External Professors at SFI. Prof. Rundle works on understanding phase transitions in complex systems, and applies these models and ideas to understanding systems as diverse as earthquakes and financial markets. Prof. Crutchfield is also a former Research Professor at the SFI, where he directed SFI's Programs on Complex Interactive Networks, Dynamics of Learning, Physics of Computation, and Evolutionary Dynamics. Prof. John Rundle is a Distinguished Visiting Scientist at the Jet Propulsion Laboratory, where he works on space-based methods for remote sensing of earth deformation associated with earthquakes. Prof John Rundle also works with scientists from SCEC, which is an NSF-USGS center, to develop and test simulations and to explore methods for earthquake forecasting. For more information about research opportunities, please see Research Areas.